Photo of: West of Ireland: Galway: Connemara: Killary Harbour. 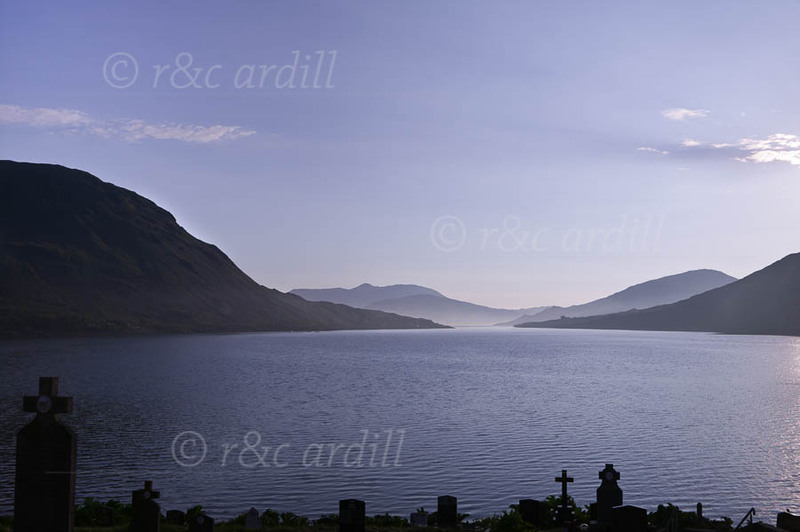 A view of Killary Harbour taken from Leenane cemetery. The peak centre left is Garraun. Killary Harbour is Ireland's only fjord. To the left of the image (south) is Connemara in county Galway. To the right of the image is county Mayo. This is one of the most beautiful areas in Ireland. The photograph was taken on a late May sunset.